Scion: Dragon and Scion: Masks of the Mythos are scheduled for late 2019 Kickstarters with 2020 digital and retail hardcover releases. The supplements will be designed using the Storypath System, the engine that powers Onyx Path’s Scion 2nd Edition, They Came from Beneath the Sea!, and Trinity Continuum RPGs. why aren’t the books being made faster? Are these considered, I guess, “canon” for the 2nd Edition Scion setting? They are as canon as you want them to be. As the Origin book goes into, there are a variety of “The Worlds” out there, so these give you a chance to piece together the interpretation of The World you want. So if you don’t groove on the idea of having the Mythos pantheon in your game, you can leave it out. 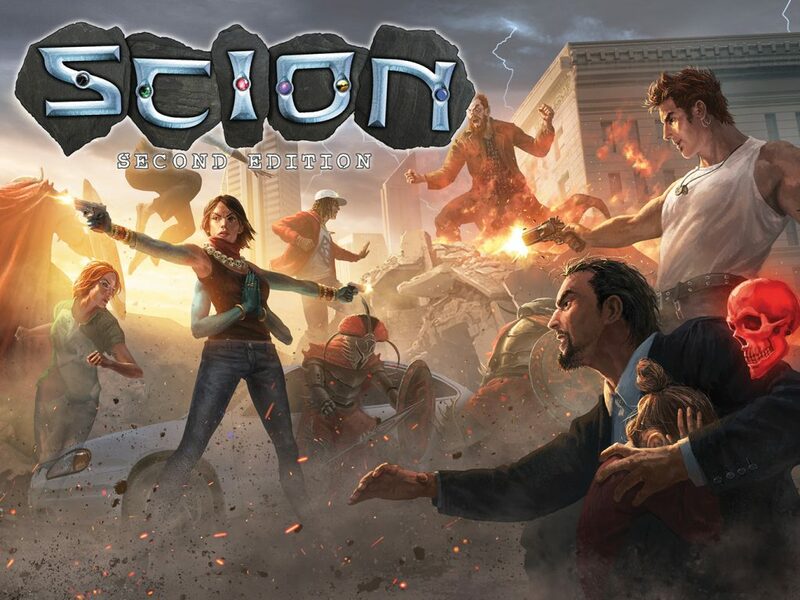 Clarification request: is there going to be two Kickstarters – one for each game – or will they both be on one Kickstarter at the same time (theoretically fall 2019)? We’ll see when we get there, but we’re unlikely to have one KS for the two separate projects. I’m always happy to see more Scion projects. So wait, are these going to be before Demigod or after? We’ll see when we get there, but Demigod is already hiring writers, while these are still in the outline phase. Wait what? I’ve been waiting for Origin and Hero 2e to be released.I can’t find them anywhere. They’re in indexing — once that’s done (and the requisite layout passes to make sure nothing broke the layout) they’ll presumably send the updated versions to the presses and then they’ll be available. PDF first, per usual, followed by physical on-demand and deluxe edition.